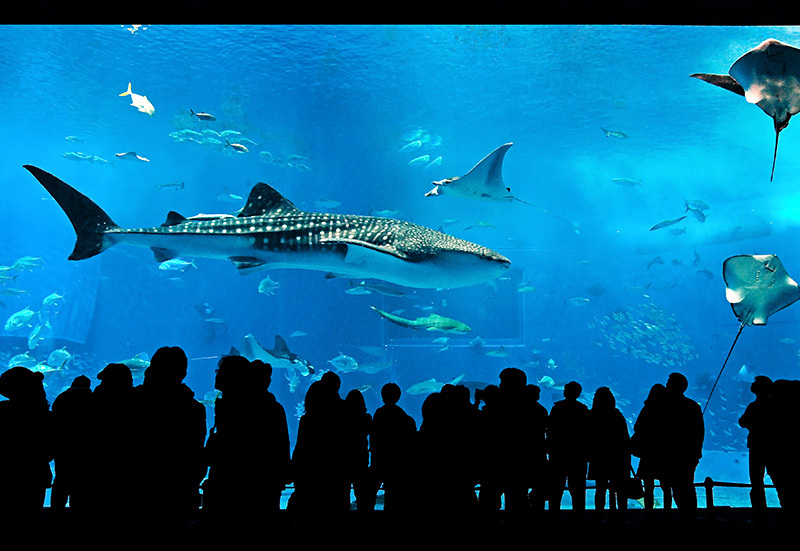 This, like the previous image, was shot at the impressive Churaumi Aquarium on Okinawa. I had a previous inkling of what to expect months ago when I stumbled onto the video, shot by cinematographer Jon Rawlinson, posted on Vimeo that received millions of views and also garnered a surge in hits on iTunes for the soundtrack song by Barcelona. As you can see, the scale is overwhelming, particularly when the whale sharks go drifting by. You suddenly feel very small. What an amazing sight—I am trying to come to terms with the massive scale here!